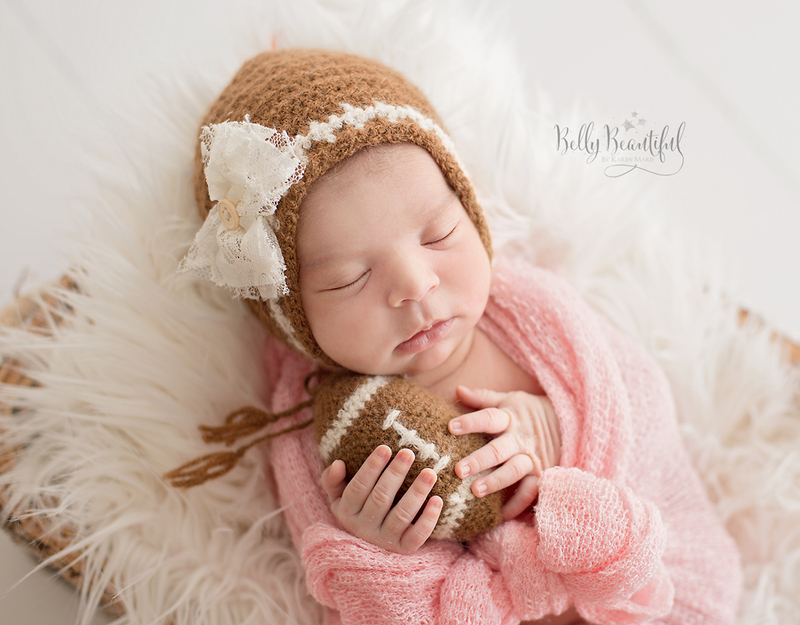 This free football crochet pattern features both a bonnet and a football stuffie and features sport weight yarn and size 4.0mm (G) crochet hook. Pick up Accent Color 2 Yarn and alternate between the two colors for Row 2. Loosely carry the un-used yarn behind your work. Drop and cut Base Color 1 Yarn. Complete Row 3 using Accent Color 2 Yarn only. Pick up new strand of Base Color 1 Yarn and alternate between the two colors for Row 4. Loosely carry the un-used yarn behind your work. Continue to HDC2tog until the hole at the back of your bonnet is closed. Cut yarn with an approx. 7 inch yarn tail. Use your yarn or tapestry needle to secure the back hole, and secure and weave in all ends. Pick up new strand Base Color 1 Yarn and alternate between the two colors for Row 4. Loosely carry the un-used yarn behind your work. Repeat Round 8 until your project measures approx. 3 inches (7.5cm) in length from the starting point. Continue to SC2tog until the hole at the point of your football is closed. Cut yarn with an approx. 7 inch yarn tail. Use your yarn or tapestry needle to secure the hole, and secure and weave in all ends. 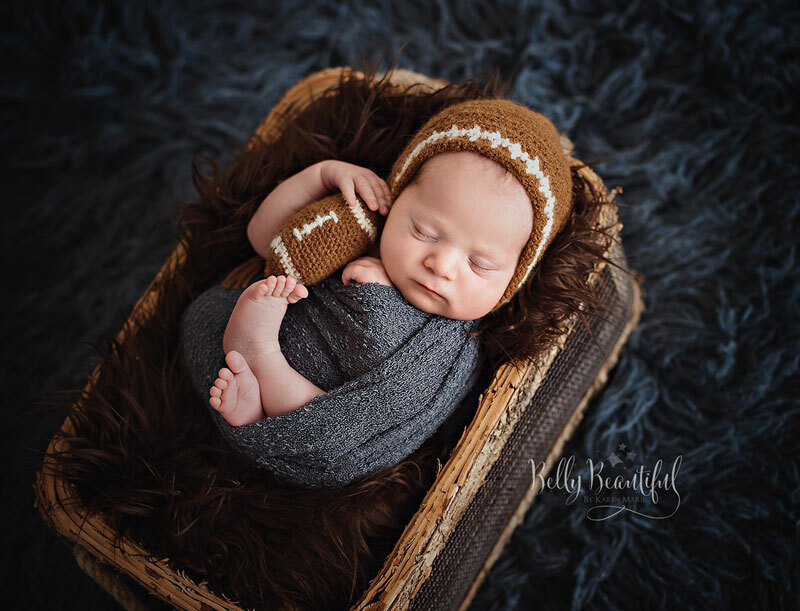 Use your yarn needle and your Accent Color 2 yarn to embroider some lacing onto the center of the football.